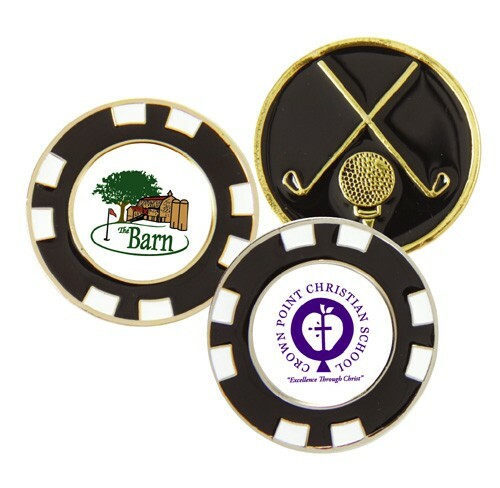 Our all metal custom molded player’s chip with enamel highlights, allows for quick turn around featuring your full color or etched logo. Reverse side depicts a classic cross clubs. No minimums or mold charges. Polished gold or silver finishes. Frosted etch - add $ .50 per piece.